Here’s the issue: we’re asking Mary to pray for us at the hour of our death. First, why is it that we have one hour of our death? We don’t die together, all at the same time, right? The hour of my death is going to be a different hour than your death. I’m sure this sounds nitpicky. It is. But this is what gets me thinking about the depth of this prayer. 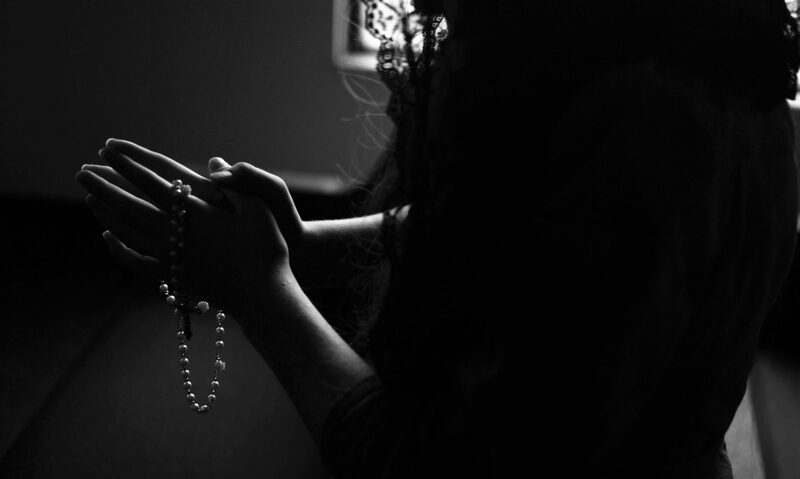 Our Mother has told us that the rosary and its prayers will help fix our world and our lives. So we should be thinking deeply about what we’re saying here. Back to the hour of our death. Why do we mix the singular and plural? I suppose the easy answer is that, grammatically, it’s a lot more complicated to say the time of each of our deaths. Or perhaps pray for me at the hour of my death. Or, just perhaps, this is only a puzzle because we’re looking at it from this side of death. Maybe on the other side of death, where time is transcended, it’s all the same hour! But we won’t know that until we reach the other side. Hail Mary, full of grace, the Lord is with thee; blessed art thou among women, and blessed is the fruit of thy womb, Jesus.